It is the only accepted species in the genus Cocos. The term coconut can refer to the entire coconut palm, the seed, or the fruit, which, botanically, is a drupe, not a nut. The spelling cocoanut is an archaic form of the word. The term is derived from 16th century Portuguese and Spanish cocos, meaning "grinning face", from the three small holes on the coconut shell that resemble human facial features. Found throughout the tropic and subtropic area, the coconut is known for its great versatility as seen in the many domestic, commercial, and industrial uses of its different parts. Coconuts are part of the daily diet of many people. Coconuts are different from any other fruits because they contain a large quantity of "water" and when immature they are known as tender-nuts or jelly nuts and may be harvested for drinking. When mature they still contain some water and can be used as seednuts or processed to give oil from the kernel, charcoal from the hard shell and coir from the fibrous husk. The endosperm is initially in its nuclear phase suspended within the coconut water. As development continues, cellular layers of endosperm deposit along the walls of the coconut, becoming the edible coconut "flesh". When dried, the coconut flesh is called copra. The oil and milk derived from it are commonly used in cooking and frying; coconut oil is also widely used in soaps and cosmetics. The clear liquid coconut water within is a refreshing drink. The husks and leaves can be used as material to make a variety of products for furnishing and decorating. It also has cultural and religious significance in many societies that use it. The only places in the U.S. where coconut palms can be grown and reproduced outdoors without irrigation are Hawaii, south Florida and the U.S. territories of Puerto Rico, Guam, American Samoa, Virgin Islands and the Commonwealth of the Northern Mariana Islands. Coconut palms will grow from coastal Pinellas County and St. Petersburg southwards on Florida's west coast, and Melbourne southwards on Florida's east coast. The occasional coconut palm is seen north of these areas in favored microclimates in the Tampa and Clearwater metro areas and around Cape Canaveral, as well as the Orlando-Kissimmee-Daytona Beach metro area. They may likewise be grown in favored microclimates in the Rio Grande Valley area of Deep South Texas near Brownsville and on the upper northeast Texas Coast at Galveston Island. They may reach fruiting maturity, but are damaged or killed by the occasional winter freezes in these areas. Most of the coconut palms, even full grown specimens, in central Florida that were not adjacent to water were killed by the freeze event in January 2010. Even those on the water were damaged, but are recovering. While coconut palms flourish in south Florida, unusually bitter cold snaps can kill or injure coconut palms there, as well. Only the Florida Keys and the coastlines provide safe havens from the cold for growing coconut palms on the U.S. mainland. The farthest north in the United States a coconut palm has been known to grow outdoors is in Newport Beach, California along the Pacific Coast Highway. For coconut palms to survive in Southern California, they need sandy soil and minimal water in the winter to prevent root rot, and would benefit from root heating coils. This isn’t chicken that you will eat everyday, but it taste so good. In bowl, beat the egg, set aside. In second bowl, add flour, set aside. In third bowl, combine coconut, garlic powder, salt, pepper and bread crumbs. Dip chicken in flour, then dip chicken in egg, then dip in the coconut mixture. Place chicken on baking sheet. 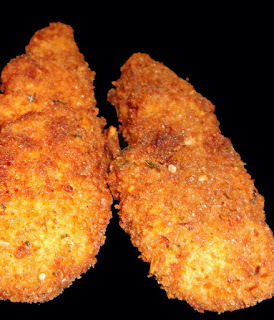 Once all chicken is coated and placed on baking sheet, spray chicken with cooking spray. Bake 20 to 25 minutes, until brown and crisp, turning once. Enjoy! Oh, this is delicious.....and something new to me here as you have used coconut flakes as well. Usually I just came across recipe just using the breadcrumbs only. I got to try it one day. Delish! I have print and saved this recipe. I can hardly wait to try this. Thanks Christine! Glad to find this site. I spent some time here looking thru your archives. Your recipes look great. I'll be back to visit, as I have bookmarked this site. I'm glad you liked it. Thank you for the feedback. sea especially if you've got several years worth of belongings. online as there are dozens of firms specialising in international removals. Remember that you can save more money by doing these things on your own.